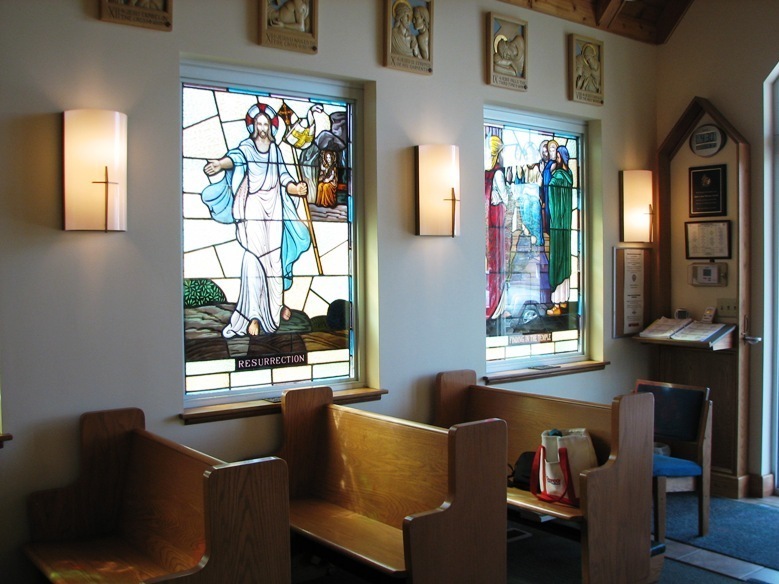 Our Perpetual Adoration Chapel is a seperate building on the southwest side of our church parking lot. The chapel is open 24/7 and has a keypad entry. Please feel free to "drop" by to spend time with Our Lord in the Blessed Sacrament. New regular hourly adorers are always welcome. If you would like to commit to a specific hour during the week or for more information, please call the parish office at 330.896.2345.